Rockcote has been creating stunning finishes for the interiors and exteriors of commercial and residential Australian buildings for over 30 years. Proudly Australian owned and operated, Rockcote is committed to developing products that perform exceptionally in Australian conditions. Rockcote is recognised nationally for its versatile Coloured Render systems, high performance, very low VOC EcoStyle Paints, pre-mixed cement renders, watertight walling systems and its range of natural finishes designed to suit modern construction. ROCKCOTE, apart from being our company name has become the generic term for top quality renders, coloured renders, acrylic texture coatings and environmentally friendly, people safe paint since 1979. 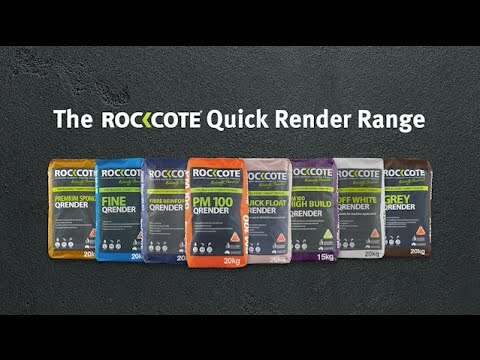 ​Why choose ROCKCOTE over other similar products? 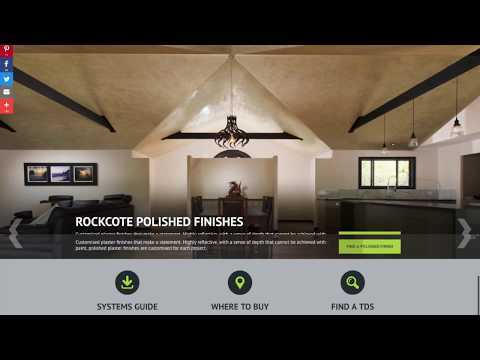 ROCKCOTE is Australia’s foremost manufacturer of specialist architectural coatings, environmentally friendly paints, natural materials, coatings and walling systems. Recognised as an innovator and market leader within the industry, ROCKCOTE has devoted substantial resources to research and development to manufacture products which are acknowledged as world leaders in both technology and quality. Locally and internationally, ROCKCOTE’s success is attributed to our hands on approach to product development. We believe that our products not only out-perform many others available but that each of our products must be formulated for maximum efficiency and ease of application. Ahead of the rest, ROCKCOTE’s products, people and buildings have been recognized for their innovation, leadership and environmentally friendly business practices by way of many local, national and international awards. 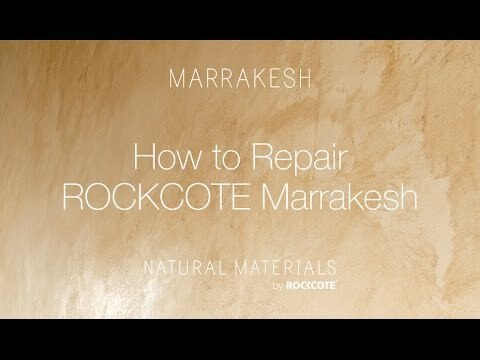 Where can I get ROCKCOTE products? ROCKCOTE products are available Australia-wide from our stockists. Please see the stockists tab on our website for your nearest stockist. We also have a selected product range through Bunnings stores and any ROCKCOTE product can be special ordered at the Buninngs Special Order counter. ​ I want my builder/architect/designer to use ROCKCOTE. How do I obtain a specification? Many specifiers and builders are familiar with the ROCKCOTE range of products and would already have information on hand to assist them when specifying the right system for your project. ROCKCOTE recommends that a system specification is obtained for every project. ROCKCOTE offers a complimentary specification service, available by contacting the ROCKCOTE Head Office. How do I find a ROCKCOTE preferred applicator? You can either select a colour off the ROCKCOTE Colour Guide (see our Online Store) - click on any product, scroll down and you’ll see the range) or select from any standard paint chart. If you can’t find a colour to suit your needs, have one of our trained staff mix a sample for you. Whilst ROCKCOTE uses the highest quality pigments available, in time most colours will fade and dependent on the colour, some may fade more quickly than others. Generally fading is even and not noticed unless an original colour sample is placed next to “aged” product. Is ROCKCOTE the same as paint? Whilst ROCKCOTE does have Healthy Paints and Membranes and Clear Finishes that are applied in the same manner as paint, ROCKCOTE is known for its high quality renders, coloured renders, acrylic texture coatings and natural materials range. Note: ROCKCOTE Coloured Renders and Texture Coatings are thicker (have a higher film build) than paint, enjoy a longer life than paint and have aesthetic qualities that can’t usually be achieved with a standard paint product. 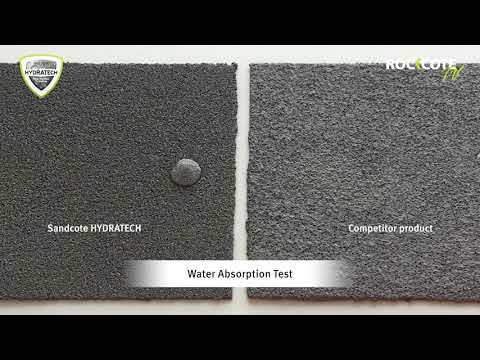 ​Can ROCKCOTE be used on floors, driveways & swimming pools? No, ROCKCOTE products have been specifically formulated for wall & ceiling surfaces only, you must go to a specialist manufacturer for these type of products. ROCKCOTE coatings provide a water repellent barrier against wind driven rain but are vapour permeable, meaning any moisture trapped in the building can escape back through the coating, allowing the building to “breathe”. To have a totally waterproof property would be like living in a plastic bag. 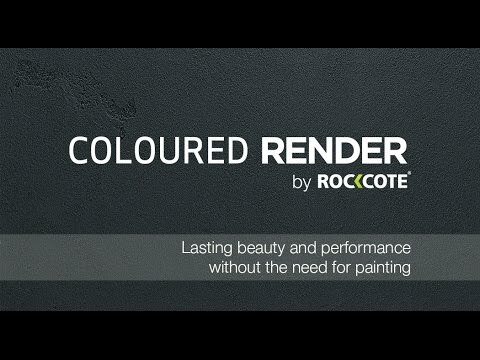 ​Are ROCKCOTE finishes low maintenance? Yes. Generally, we recommend periodic cleaning. A build-up of dust and dirt on any building surface is unsightly and can permit mould & fungus to take hold. A regular maintenance schedule should involve hosing down or occasional hand cleaning using every day household cleaning utensils. With regular maintenance a Decorative Coating will deliver a long, trouble free life. Regular maintenance can also alleviate the need to use harsh and dangerous solvents or acid cleaners when a major clean is in order. Do ROCKCOTE products come with a guarantee? All Rockcote products carry a manufacturer’s product guarantee when applied by an approved applicator and in accordance with the product’s technical specification. This guarantee is available in writing and is assurance of a high quality product. Our goods come with guarantees that cannot be excluded under the Australian Consumer Law. You are entitled to a replacement or refund for a major failure and compensation for any other reasonable foreseeable loss or damage. You are also entitled to have the goods repaired or replaced if the goods fail to be of acceptable quality and the failure does not amount to a major failure. Can I get a sample of a ROCKCOTE product? Yes, by calling either your nearest ROCKCOTE outlet or our toll free number on 1300 736 668 or email your request to us along with your full name, address and phone number and we will forward to the team in the ROCKCOTE Colour Room. ​Are ROCKCOTE products Australian made? Yes, all ROCKCOTE products are made on the Sunshine Coast in Queensland by a family owned company. ROCKCOTE does have licensees in Western Australia; and a licensee in New Zealand who manufacturers the ROCKCOTE range exclusively for that country. Yes. Should you wish to change the colour of your building or change the profile of the existing texture, all ROCKCOTE products can be overcoated with other ROCKCOTE finishes or with high quality acrylic products available on the market. Can a ROCKCOTE finish add value to my home? As shown many times over, a decorative architectural coating can certainly add value to a property, in some cases, tens of thousands of dollars. Real Estate Agents have advised us that texture coated properties are more readily saleable commodities than their brick counterparts. ​Does ROCKCOTE offer training courses? ROCKCOTE employs a full-time Training Officer to conduct courses for applicators in the use of ROCKCOTE products and machines. We also offer Natural Materials training for appliactors who would like to be skilled in the use of ROCKCOTE's Natural Materials range. A number of ROCKCOTE stockists offer their own training courses which will be advertised in the ROCKCOTE Trade News… sign up now to receive your copy by selecting the Subscribe button on the left hand side of this page. For anyone interested in entering the industry, ROCKCOTE was instrumental in the establishment of the TAFE Pre-vocational Course in Solid Plastering. Can I apply ROCKCOTE myself? ROCKCOTE recommends that all products are applied by an approved ROCKCOTE applicator. However, there are a number of DIY (do-it-yourself) type products in the ROCKCOTE range. Any of the EcoStyle products in our Healthy Paints range are able to be applied in the same manner as standard paint. A competent handy man could apply our pre-mixed renders like Quick Render and Skimcote and perhaps a number of the texture type finishes which do not require a high skill level. A range of these are available through Bunnings stores – check out their Paint Department for our Coloured Renders, Toscani, Portofino and Havana and the Building Supply Department for other Renders. 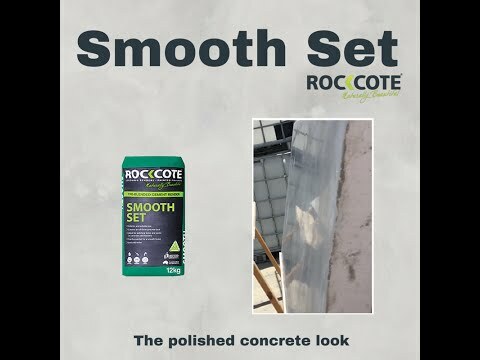 Before you attempt to apply any of the ROCKCOTE range of products yourself, make sure that you have the appropriate technical specification for the product selected, see Technical Info - and if you have any additional questions call ROCKCOTE’s Customer Service Department on Toll Free 1300 736 668. ROCKCOTE cannot guarantee products applied by a non-trade qualified person. How can I select the product most suitable for my project? Once you have decided on the style (eg. Mediterranean, Santa Fe) that suits your needs and project, call us Toll Free on 1300 736 668 to find out the ROCKCOTE product or system that will best suits your needs - or reder to the ROCKCOTE System Guide. A sample of your selected product can be made in the colour of your choice. What surfaces can I apply ROCKCOTE over?